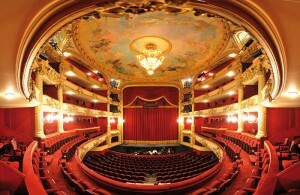 On the occasion of the restoration of the Opéra Royal de Wallonie, a fully-fledged L-Acoustics system was put in place. 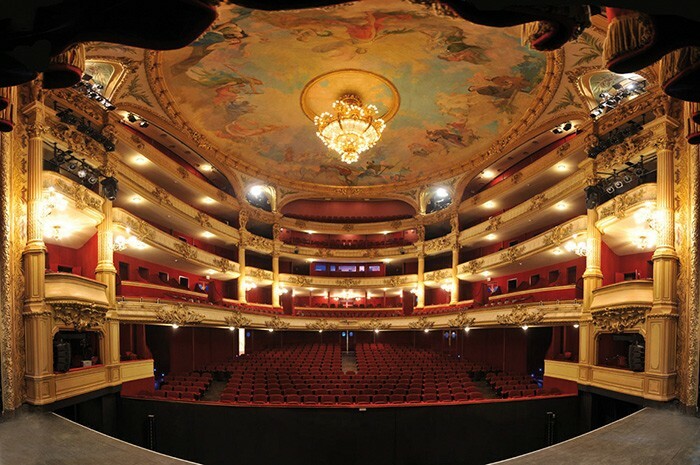 After more than two years of restoration work, the 1875 built Théatre Royal de Liège, home of the Opéra Royal de Wallonie (ORW), re-opened its doors to the public at the end of last year in Liège. The whole renovation project, unique in its kind, represented an investment of 31 million euros. In 2008 Riva Audio were appointed by the main contractor Putman, to carry out preliminary research, design and install the new audio system, using their expertise in stage mechanics and technical installations of theatres and studios. "The big challenge was to persuade the city officials and opera management to place new audio gear in a classified nineteenth century building – they wanted the venue to be ‘sound reinforcementless’ ," says Frédéric Vard, managing director of Riva Audio. "For example, it took us quite some negotiations with the governments’ Monuments and Landscape Department to obtain permission to place the speaker cabinets." XLR sprl, a Distributor within the L-Acoustics Certified Provider Network for Belgium, collaborated with Riva Audio on this installation. The need for a modern, flexible and efficient audio system was underpinned by the theatre’s management plan to make multifunctional use of the building. Alongside the ORW’s performances, the theatre would host conferences, gatherings and concerts. The venue’s iron safety curtain, compulsory in this category of theatres, was equipped with a projection screen on the audience’s side to facilitate the projection of movies. "When we received the go-ahead to for the sound system, we had to take into account the new furnishing of the theatre," continues Vard. " In the end, we agreed to install an L-Acoustics line-array system on either side of the subtitling projection beam above the stage, before the stage curtains. The amplifiers are located close to the speakers and are remote controlled through a network, like all other equipment in the ORW. The line arrays, consisting of 20 KIVA cabinets 2 x 6 KIVA in front of the curtain and 2 x 4 KIVA to serve the lower seats plus 8 SB18 and 14 8XTi as in fill, ensure complete coverage of the whole theatre – every seat offers the same listening comfort." Instead of painting the KIVA speakers in the same red as the curtains, the Monuments and Landscape Department decided to paint them in black, turning the technical equipment into a decorative element of the stage. The installation of the line-arrays and cables followed thorough research and design, with Riva Audio presenting a complete construction document indicating the placement of loudspeaker cabinets within the constraints of the ancient building. "We, together with XLR’s Project Manager, Sébastien Desaever, presented three speaker configurations to the theatre management – L-Acoustic’s contracting and fixed installation department was instrumental in providing the necessary technical plans," continues Vard. Vard made use of the stage level boxes in the theatre to install 2 x 4 KIVA serving the lower seating of the 1440 capacity theatre. The whole venue was cabled with CAT 6 fibre optics, replacing the ‘traditional’ microphone cables. "Installing Soundcraft stageboxes for the signal transfer from the stage to the Soundcraft Vi 4 console was a crucial measure – in an opera environment, noiseless connections are essential throughout the system," says Vard.